You may feel like resting, but moving is good for your back. Exercises for lower back pain can strengthen back, stomach, and leg muscles. They help support your spine, relieving back pain. Always ask your health care professional before doing any exercise for back pain. Depending on the cause and intensity of your pain, some exercises may not be recommended and can be harmful. 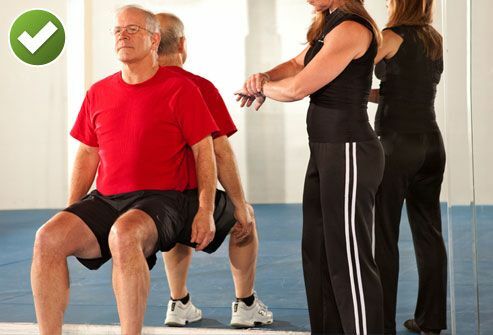 Leg lifts are sometimes suggested as an exercise to "strengthen your core" or abdominal muscles. 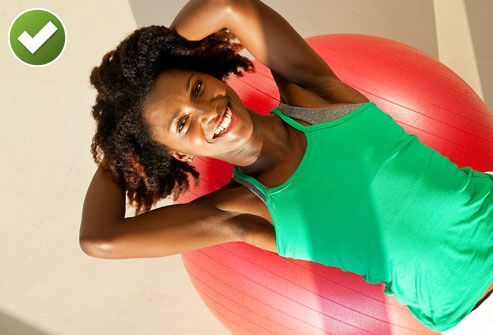 Exercising to restore strength to your lower back can be very helpful in relieving pain yet lifting both legs together while lying on your back is very demanding on your core. If weak, this exercise can make back pain worse. Instead, try lying on your back with one leg straight and the other leg bent at the knee. Keeping your lower back flat on floor. Slowly lift the straight leg up about 6 inches and hold briefly. Lower leg slowly. Repeat 10 times, then switch legs. Lie on your back with knees bent and feet flat on the floor. Bring one knee to your chest, keeping the other foot flat on the floor. Keep your lower back pressed to the floor, and hold for 15 to 30 seconds. Then lower your knee and repeat with the other leg. Do this 2 to 4 times for each leg. Lie on your back with knees bent, feet flat on floor. Tighten your stomach by contracting it as though you were preparing for a punch. You’ll feel your back pressing into the floor, and your hips and pelvis rocking back. Hold for 10 seconds while breathing in and out smoothly. Repeat 8 to 12 times. Lie on your back with knees bent and just your heels on the floor. Push your heels into the floor, squeeze your buttocks, and lift your hips off the floor until shoulders, hips, and knees are in a straight line. Hold about 6 seconds, and then slowly lower hips to the floor and rest for 10 seconds. Repeat 8 to 12 times. Avoid arching your lower back as your hips move upward. Avoid overarching by tightening your abdominal muscles prior and throughout the lift. Done properly, lifting weights doesn't usually hurt your back. In fact, it may help relieve chronic back pain. But when you have acute (sudden) back pain, putting extra stress on back muscles and ligaments could raise risk of further injury. 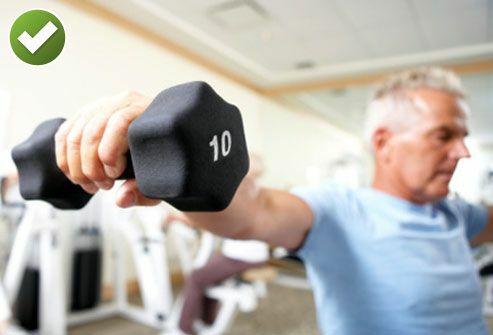 Ask your doctor whether you should lift weights, and which exercises to avoid. Aerobic exercise strengthens your lungs, heart, and blood vessels and can help you lose weight. 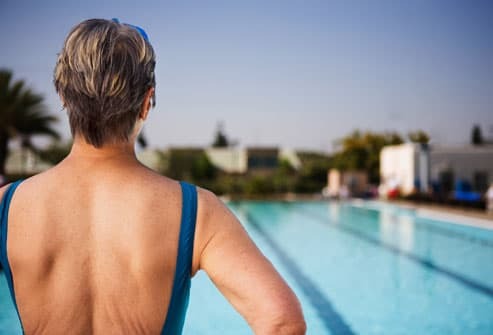 Walking, swimming, and biking may all help reduce back pain. Start with short sessions and build up over time. 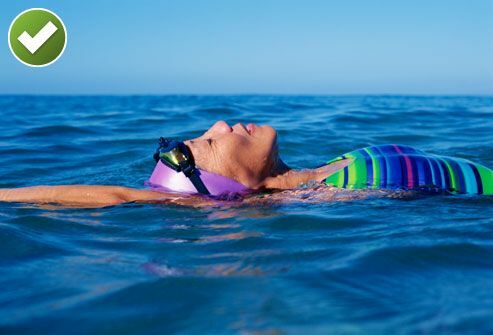 If your back is hurting, try swimming, where the water supports your body. Avoid any strokes that twist your body. 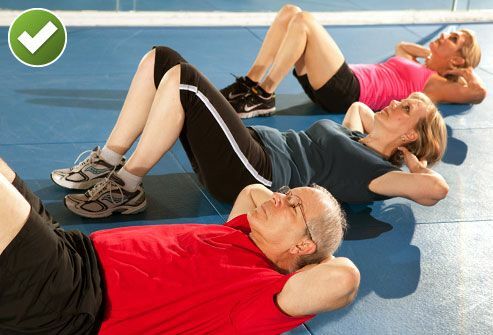 Pilates combines stretching, strengthening, and core abdominal exercises. Under the instruction of an experienced teacher, it may help some people with back pain. Be sure to tell your teacher about your back pain, because you may need to skip some moves. American Academy of Orthopaedic Surgeons: "Low Back Pain Exercise Guide." American Council on Exercise: "Bird-dog," "Glute Bridge." American Pain Foundation: "Back Truths: Debunking Common Myths About Back Pain." Kell, R. Journal of Strength & Conditioning Research, March 2009. La Touche, R. Journal of Bodywork and Movement Therapies, October 2008. Long, A. Spine, December 1, 2004. NHS: "Back Pain - Prevention." NISMAT.org: "Low Back Program Exercises." The President's Council on Physical Fitness and Sports: "Questionable Exercises."